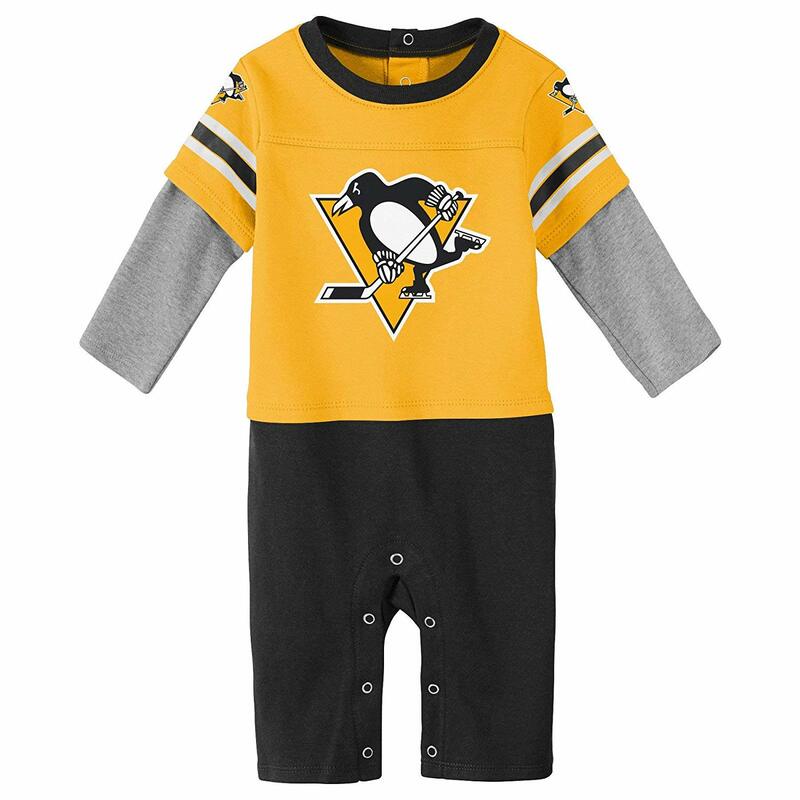 Penguins Goalie Romper is 100% cotton jersey. Pens logo hockey print on black & gold one-piece romper. Snap crotch for easy changes. 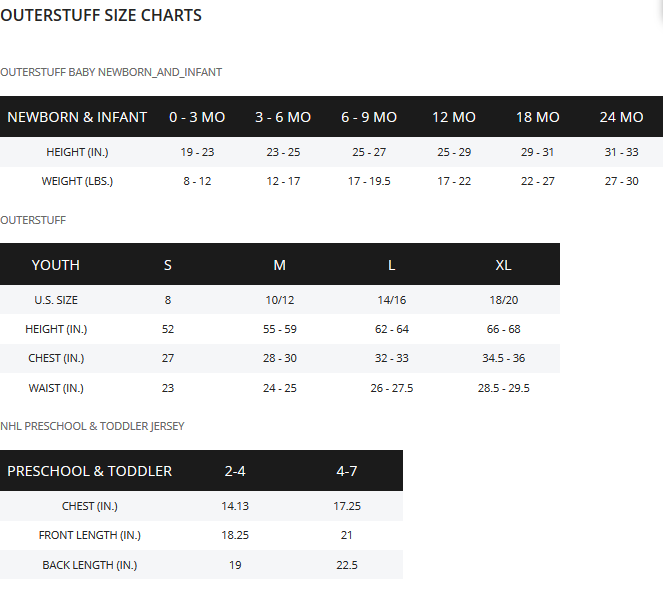 Available in sizes 12, 18, & 24 months. Great for gifts & die-hard Pens fans.